PROPERTY developer Glomac is cutting its property sales target by half for fiscal 2010 as demand falters due to the global economic downturn, a top executive said yesterday. Glomac aims to sell houses, shopping lots and offices worth about RM400 million in the year to April 2010, down from its previous target of RM800 million, its managing director Fateh Iskandar Mohamed Mansor said. "At this moment in time, looking at the weak take-up rate of our properties, I have to be conservative," Fateh Iskandar said in an interview. Mid-sized developer Glomac, which is building a 40-storey office tower in the Kuala Lumpur City Centre, ranks behind larger players such as Sunrise and SP Setia. As a result of the lower sales target, Glomac will take longer than expected to clear planned projects, which have a gross development value of about RM3 billion, he said. The company initially expected to market the projects in four years, he said. "To finish this RM3 billion in four years, we have to sell RM700 to RM800 million a year. However, because of the economic slowdown, what would have taken us four years may now take six to seven years." Glomac has reduced its net gearing ratio to below 0.1 times currently as it prepares itself for tougher economic conditions. "We have gone through the downturn in 1997. Once bitten twice shy, I would like to keep it at about 0.5," said Fateh Iskandar. The target gives the company scope to borrow for expansion, he said. "If there is any opportunities such as land for sale, joint venture or acquisitions, we are in good position to look at them," he added. The company is in "advanced talks" to sell en bloc a 25-storey corporate tower at Glomac Damansara, a mixed commercial and residential development outside Kuala Lumpur, he said. The building has a market value of about RM170 million, he said. "We hope to complete the sale by the end of the year. If that happens, these are bonuses," said Fateh Iskandar. Glomac shares closed up 1 sen at RM0.795 yesterday. The stock has risen 60 per cent so far this year, outpacing key rivals and a 22 per cent rise in the broader market. KUALA LUMPUR: Glomac Bhd is cutting its property sales target by half for fiscal 2010 as the global economic downturn hit buyers’ confidence, said a top executive on Tuesday. The property developer aimed to sell houses, shoplots and offices worth about RM400mil in the year to April 2010, down from its previous target of RM800mil, said managing director Datuk Fateh Iskandar Mohamed Mansor. “At this moment in time, looking at the weak take-up rate of our properties, I have to be conservative,” he told Reuters in an interview. The company was in “advanced talks” to sell en bloc a 25-storey corporate tower at Glomac Damansara, a mixed commercial and residential development, said Fateh. The building had a market value of about RM170mil, he said. “We hope to complete the sale by the end of the year. If that happens, these are bonuses,” said Fateh. TSI Holdings Sdn Bhd, a construction and property company controlled by Tan Sri Ibrahim Mohamed, expects revenue for the current year to match the RM180 million it posted last year, helped by strong overseas earnings. Ibrahim, who controls 75 per cent of TSI, grew to prominence in 2007 after he sold Wisma Denmark office block along Jalan Ampang to the Suncity group for RM170 million. The privately-held firm, which earns between RM70 million and RM80 million a year in revenue from overseas operations, said contribution from abroad has been growing by as much as 20 per cent this year. This is largely due to the S$11.6 million (RM28 million) marina sand project contract it secured in Singapore. The project is expected to be completed within six to eight months. TSI has market presence in Indonesia, the Philippines, Singapore, Thailand and the Middle East. Group managing director Lim Seng Kok said the company may venture into property business in these countries if there are opportunities. "We were approached but the proposals must be within our expectation," he told Business Times in Kuala Lumpur recently. On the domestic front, TSI has 30.35ha of landbank with a total gross development value (GDV) of RM1.6 billion that will keep the firm busy for the next 10 years. Its latest development, First Residence@Kepong Baru, which has a GDV of RM160 million, offers 474 condominiums in two tower blocks, with more than 800 units of car park bays expected to be completed by 2011. The units range from 930 sq ft to 1,450 sq ft and prices are from RM233,000 to RM333,000 per unit. 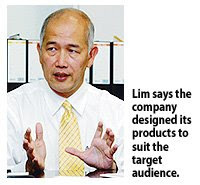 Lim said 90 per cent of Block A non-Bumi units have been sold. "We did not offer financial packages but instead we tried to design the product to suit the target audience. We are happy that the apartments are selling faster than expected, despite the slowing economy," he said. TSI also has two other ongoing development projects namely a wholesale city called GM Klang@Bandar Botanic Klang that is being developed on a 5.86ha site and Taman Sg Karang Maju in Kuantan that consists of 55 units of single-storey houses. Slated to be the largest wholesale city, GM Klang will be developed in four phases and will take between eight and 10 years to complete. Estimated GDV for the project is RM1.5 billion and once completed it will consist of about 2,000 units of shops. SHAH ALAM: The Shah Alam police is planning a new police station at the western boundary of i-City which will enable them to respond to calls within a minute and offer 24-hour patrol, i-Bhd said in a statement yesterday. It said other safety services such as the ambulance and fire brigade will respond within 15 minutes of any call from i-City. i-Bhd said in the interim, the security measures planned by the police included linking the current CCTV surveillance in i-City to the Shah Alam police station. It added that the police also planned to train i-City in-house security staff. "In today's competitive environment, a safe and secure zone is an additional competitive edge for i-City and the strategic alliance with the Polis DiRaja Malaysia (PDRM) is an important milestone in ensuring i-City can compete to attract the international investors to Malaysia. "i-City has been designed to be managed as one large complex with a controlled tenant mix. There is CCTV surveillance as well as patrolling guards. The concierge in i-City serves both as a meeting point as well as a one-stop centre," it said. i-Bhd said more importantly, for i-City Data Centre Park, the operations required not only restricted access but had also to be secured against info-security risks. JOHOR BARU: Legoland Park Malaysia in Iskandar, Malaysia, will have miniature replicas of iconic buildings and structures across the region. The US$200mil park, to be completed in 2012 on a 23ha site, is a joint venture between Merlin Entertainments Group and Iskandar Investment Bhd. 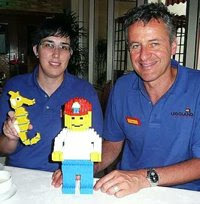 Legoland model designer Elizabeth De Silva (left) with Tim Burnel shorlisting candiates in the competition and interview session. Merlin Entertainments production director Tim Burnell said the replicas included the Petronas Twin Towers, the tallest twin buildings in the world, and its researchers were currently touring several Asian countries in search of other iconic buildings and structures to be incorporated in the theme park. “All the structures will be located at Legoland’s Miniland where cities are created and the miniland is part of the theme park,” Burnell told a press conference during the competition and the interviewing session for 84 shortlisted candidates applying to become model shop associates. He said the theme park would also have famous buildings in Johor Baru, such as the Royal Museum, Sultan Abu Bakar Mosque or the Dataran Bandaraya clock tower. Other famous structures from the region are India’s Taj Mahal, Beijing Bird’s Nest Stadium, Cambodia’s Angkor Wat and Singapore’s Merlion statue. Burnell said only six candidates would be selected to attend a 10-week training programme in California or Denmark. Legoland Malaysia would also establish Asia’s first model shop in the Nusa Cemerlang Industrial Park in Nusajaya by October, he said, adding that the model shop would provide models for Legoland worldwide, including many of the 15,000 models that would make up Johor’s theme park. There are currently four global Legoland parks – in Billund (Denmark), Windsor (outside London), California and Deutschland (Germany). PROPERTY and construction firm Mitrajaya Holdings Bhd has won a RM63.6 million contract to build the Newcastle University Medicine Malaysia Campus in Johor. Its wholly-owned unit Pembinaan Mitrajaya Sdn Bhd received the letter of award on July 3. The main campus building is located at Educity in Iskandar Malaysia. The contract is for 20 months starting from July 6 and ending on March 5 2011, Mitrajaya told Bursa Malaysia yesterday. MITRAJAYA Holdings Bhd, a Malaysian builder, jumped in Kuala Lumpur trading after winning a construction contract valued at RM63.6 (US$18 million). The shares rose 10 per cent to 53 sen at 9 a.m. local time. The 20-month contract for construction work at the Newcastle University Medicine Malaysia campus in Johor, south Malaysia, should be completed by March 2011, Mitrajaya said in a statement late yesterday. PETALING JAYA: Trans-Asia Shipping Corp Bhd (Tasco), a total logistics solutions provider, will dispose of a property worth RM17.3mil to partly finance its acquisition of new office and warehouses. In its filing with Bursa Malaysia yesterday, Tasco said it had entered into sale and purchase agreement with Greenway Link Sdn Bhd to sell its property of 4,047 sq m together with a three-storey office building and warehouse in Selangor. Tasco had on July 1 announced that it planned to buy a property for RM41.8mil from JVC Manufacturing Malaysia Sdn Bhd in Shah Alam for use as a logistics centre.